75% That’s All Your So Called Cabernet or Merlot is? Choose Wine By Taste! Extra, Extra, Read All About It!! If you select a wine at a Retail wine shop or at a Restaurant by the grape varietal that you are familiar with you could be in for disaster. In the USA, (All countries have their different requirements) only 75% of the Grape that is listed on the outside of the bottle needs to be in the bottle. 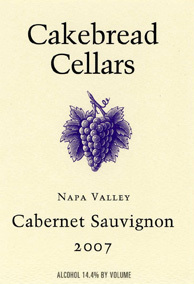 Even when you spend that $150 for your so called Napa Valley Cabernet you are barely getting in most cases, 75% Cabernet Sauvignon with 25% being a blend of grapes but they do not have to list them on the label. So in other words, put 7 Domestic Cabernet Sauvignons together and not one will even taste close to the other. One might be very light and fruity. One might be silky and soft. One might be spicy and earthy with notes of Tobacco. What I am getting at here is…Go by TASTE and STYLE of wine. Communicate with your Sommelier or Server at a Restaurant and tell them the Style and Taste you like and for example you might like a wine that is Spicy, big and bold flavors but not too dry. Would you choose this?? A wine from Priorat Spain?? Probably Not. 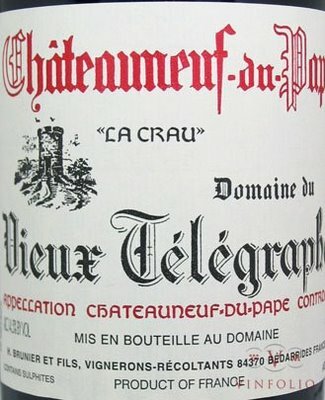 How about a Chateauneuf du Pape?? Probably Not!! How about a Bordeaux Blend from Walla Walla Valley like This?? Probably Not!!! How about this Cabernet sold everywhere including Costco from Napa Valley? PROBABLY YES!!! I don’t lose, the restaurant doesn’t lose ( they still get the sale of a $150 bottle of wine) the only person that loses is YOU..! You order a Grape that is blended anyway as stated above however if you went by taste alone and style all the wines you passed up the opportunity to try would all be in the same budget and all in the most important part…the same Flavor Profile. You would also get the opportunity to experience new wines and new flavors from new regions of the world by not sticking with the familiar!! I once had a customer tell me that THIS Confusion is the reason he never drinks wine and sticks with something SIMPLER Like BEER!!.. I asked him what kind of Beer he likes. He responded ” I am an IPA drinker” I asked him if he liked Hoppy IPAS, Citrus IPAS, Softer IPA’S, Floral IPAS….He then said “TOUCHEE” Wine isn’t any more complicated than Beer. You still have to choose by TASTE. He realized that and ordered a bottle of wine from my Recommendations based on his TASTE…and he wrote me to tell me he never looked back sincee and is now only ordering Wine in Restaurants and another Wine Enthusiast was born! So next time you think about ordering a familiar Grape or Brand name… do you want 75% of an experience or 100% of something exciting and new?? Previous2012 Oregon Pinot, Game Over !!! NextMalbec Mania Taking Over The Country!